The Local, REALTORS network includes LocalRealtors.com as well as FHA.condos, HomeBump™, Probate Council™, SeniorHomes.co, Short Sale Map™, Real Estate of America, Va.condos, VaHomeMap.com, ValueofProperties.com. 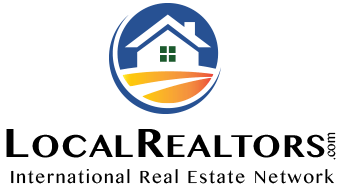 Local, REALTORS® also offers a complete solution of training and software products and services to help real estate professionals serve their clients and grow their business, including the Certified Local Expert® designation and training program. We would be happy to assist you in finding the perfect real estate agent. Email us with the form below, or call us at (855) 766-7325.